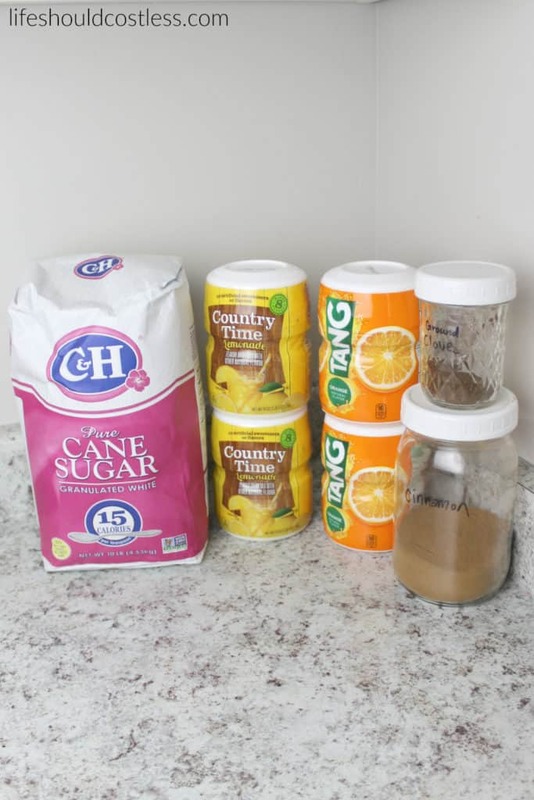 In a glass jar or plastic container large enough to hold 5 cups ( I use a half gallon mason jar), layer your ingredients. Add the lid and tighten. Shake well! It sometimes takes a few minutes of shaking until it is well mixed you'll know you are done when the color is the same throughout the whole mixture. Mix 2 teaspoons per one cup of hot water. Enjoy! This mix makes a great Holiday gift! Just package it cute with instructions on what water to mix ratio to use.